Eric Celarier leads this workshop where participants of all ages will make their own creation out of trash and consider other artists who use discarded materials. Eric Celarier assembles garbage to describe biological evolution in the wake of human existence. The “Alternative Evolution Series” portrays creatures adapted to, from, and by a world irrevocably changed by our interaction. 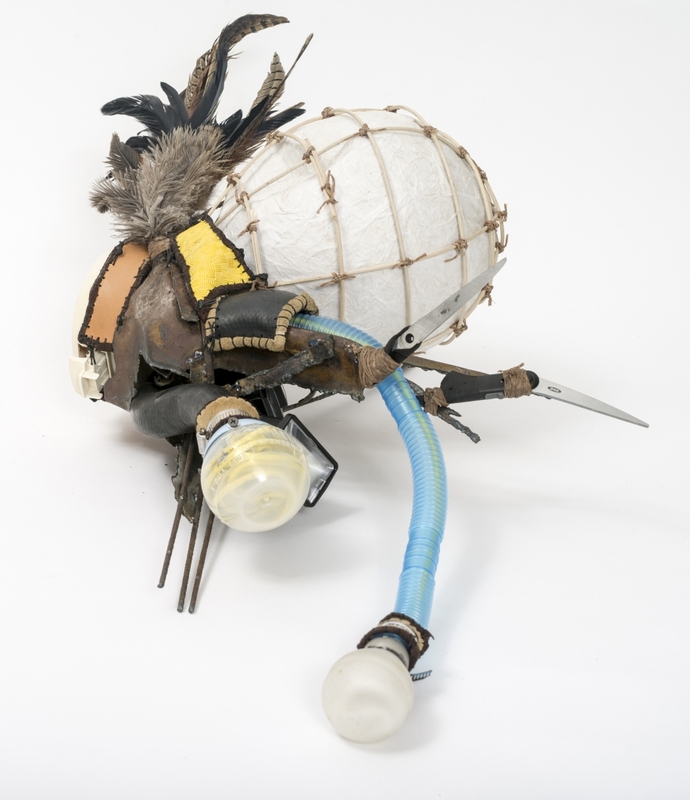 By fabricating life forms and environments from discarded materials, he mimics the adaptive strategies of today’s beings in order to anticipate structures that subsequent organisms might employ to harmonize with an unpredictable world. When installed as a group, these creatures generate a whimsical, but cautionary, environment. About the Artist: Eric Celarier was born, lives, and works in the Washington Area. He received his B.A. from the University of Maryland in 1991 and his M.A. in Fine Arts from the University of Cincinnati in 1997. Winning top honors in Nassau Community College’s “Borders: Visible & Invisible” show, juried by Samantha Rippner, Associate Curator of Drawings and Prints at Metropolitan Museum of Art, (2011), Celarier has been included in many shows around the country.